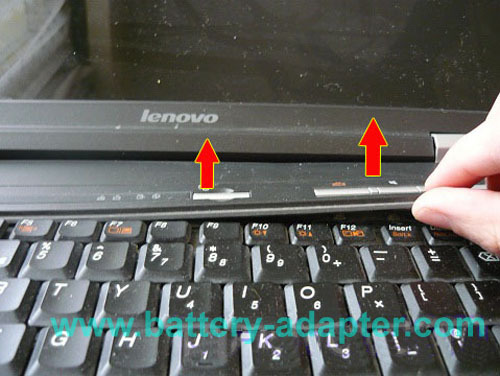 In this tutorial, the actual laptop is Lenovo 3000 N200. 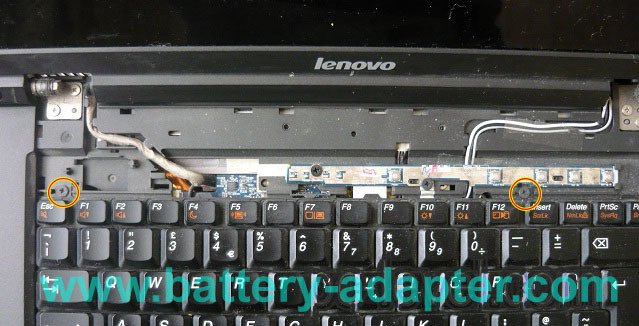 First of all, turn off your laptop, disconnect the the AC adapter and remove the battery from Lenovo 3000 N200. 1. 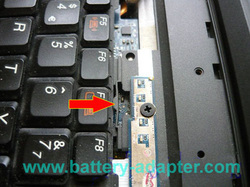 Open the laptop, carefully release the switch board cover which is attached to the top cover by small plastic clips. 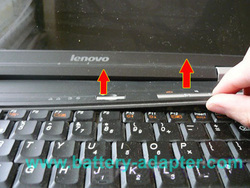 You can start by lifting one end using flat-head screwdriver and then gently twist it to release all clips. 2. 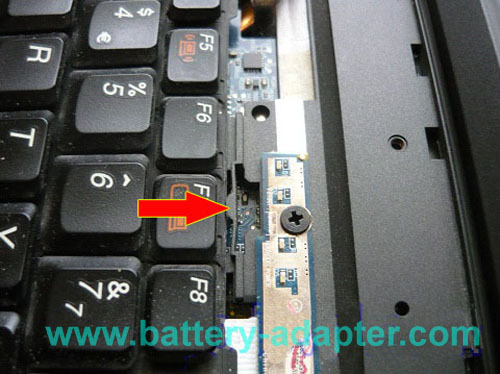 Remove the two screws that secure the keyboard to the top cover. 3. 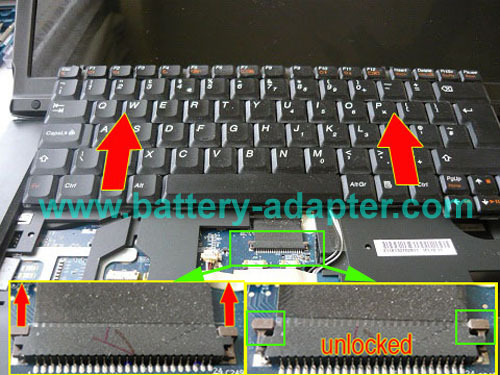 Lenovo 3000 N200 Keyboard is also secured by a small plastic clip that you should carefully release. 4. 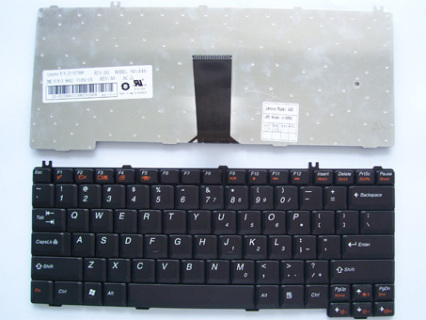 Slide the keyboard toward the display so that you can access the ribbon cable (ZIF) connector. Unlock the ZIF connector and carefully disconnect the cable. Remove the keyboard.